A lot of customers ask us about how to pick a domain name so I thought I would write a short guide on the basics of choosing and registering a domain name. Firstly it’s important to do some proper research to find something that’s truly suitable for your brand or business. A .com or .co.uk ending in the domain name. Research suggests that consumers tend to trust websites more with these endings as they are more common. Domains ending with .co.uk should be selected if your looking to promote your site locally but the .com is better if you are an online only busines or if your customer base is global. The shorter the domain name can be the better. A longer domain can be harder to remember. 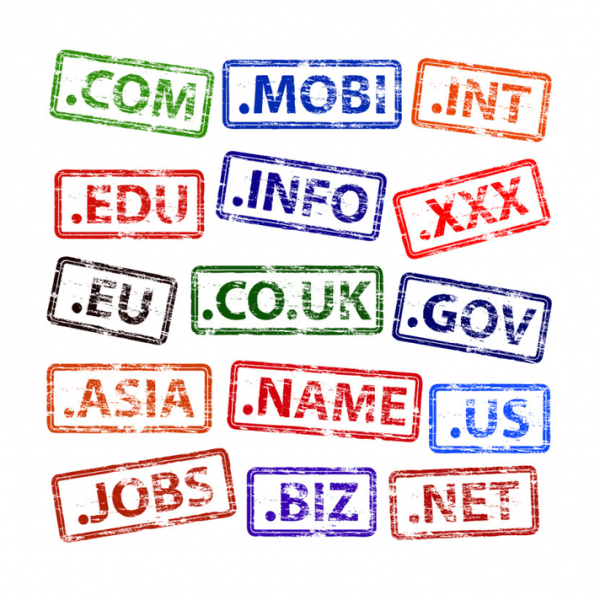 This can pose some challenges as quite often all the shorter domain names are already taken. Consider what keywords you want your website to show up for in a google search. It may be a good idea to incorporate your keyword of choice in the domain name. Now I should add that this does not guarantee to make you appear on page 1 of a search engine for that keyword but in our experience it does help. Avoid-hyphens. Most people when thinking of your business will rarely remember to use hyphens. A local business only targeting a certain area may be better of inserting there city/area in the name. This can help with many aspects of marketing your business online. Research the name thoroughly to ensure nobody has the same name with a different spelling or ending .com vs .co.uk. Any confusion in this space could result in your hard work promoting your business benefitting someone else. It can also lead to legal disputes about copyright and trademark etc. Remember to consult a lawyer if you have any doubts regarding this matter. At the end of the day all I have mentioned above are opinions and generalisations to a degree. There are many many tools that you can use to help brainstorm different ideas for you domain name. I will cover two of these tools. The first one is Lean domain search. It allows you to type in the word or phrase you are looking to have in your domain name and It will generate a list of all the available domains containing your keyword or phrase along with many different variations. You can then sort the results by length or popularity and even sort based on whether you want your keyword to be at the beginning of the domain name or end. Another useful idea is to google every domain name idea is to make sure there are no competing businesses with similar domain names or branding. The second one is domain hole. This website can search for expired domain names. It also has a name spinner, instant availability check facility, complete availability check, name generators, an alert facility if your desired domain becomes available and bulk domain checking abilities and even a brainstormer. Having researched and picked your name then the next step is to register it with a reputable company. Registration fees can vary from £3-4 to £30-£40 per year depending on the type of domain you want to buy. You should use a reputable company such as godaddy or fasthosts to register your domain. Both of these companies allow you to make an account and use it to register your name. Now registration is not permanent. Although you can register your name for anywhere between 1-10 years. Now when you register a domain your details are logged in the WHOIS records which is a free to access publicly available record of all the domain names that are currently registered in the world. Most companies will offer some form of domain privacy facility where for an additional fee you can hide the details of who has registered the domain on the WHOIS records. Now this does not mean you are completely untraceable as anyone with legal permission could ask the domain registering company the identity of the owner of this domain name and they would have to oblige. The main benefits of the privacy protection are that you will save yourself a lot of trouble with telemarketing calls and emails from cold callers looking to sell you online services. You would also make it harder for competitors to know your private information etc. After you have considered all of this all you need to do after picking your name as well as choosing to have or not have domain privacy protection is to follow the simple procedures that the domain registration company will ask you to follow and pay for the registration and by the end of this you should own your very first domain name. A point to note is that most companies will attempt to upsell you website builder packages or custom email mailbox packages. For the purposes of this guide I will not go into these but I would normally suggest that, if you are not sure, to not purchase anything else until you have spoken to someone knowledgeable in these matters and know what are the next best steps to take. I hope this information is useful to you and if you have any more questions feels free to email me on info@wayupseo.co.uk.